He's served two tours overseas. One to Iraq and one to Afghanistan. "Both of those times you had a half a dozen or so opportunities to anonymously, discreetly raise your hand and say, you know I don't feel like I have PTSD or I think I might have it," explained Lt. Col. Bill Humes of the Michigan Army National Guard. He told us that he took a computer assessment and met with a psychologist before heading to his mobilization site, where he was screened again. "One year it was Texas - Fort Hood and the other it was Camp Shelby, Mississippi. Same thing. At some point in that mobilization process, at the mob site is a mental health assessment - so how do you feel? how are you doing?" Lt. Col. Humes explained. "Still - how are you feeling? What did you see during deployment? Did you see death? Were you in any auto accidents, or any vehicle accidents? So do you have any TBI or PTSD?" he added. 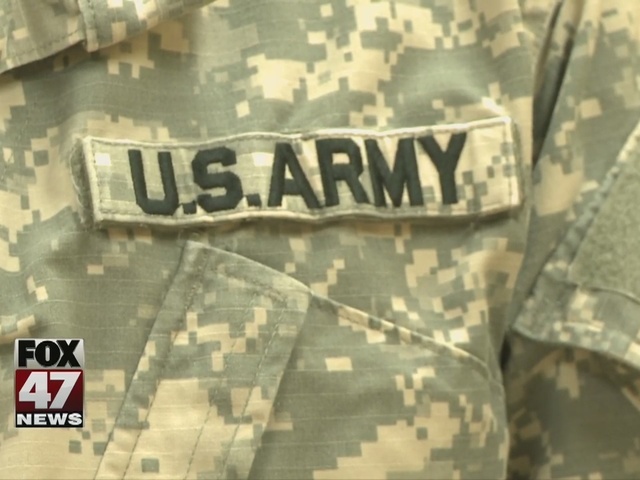 Those in need are evaluated by a team led by the Michigan National Guard's Director of Psychological Health, Lt. Heather Nystrom. "We throw out a wide net to try and catch everybody," she said. "We may sit them down and assess them and see if there's a need for further resources or further connections that they need to have in their community; and then, we'll connect them to those resources." Lt. Nystrom said educating each soldier on the seriousness of their mental-health usually helps them come forward and admit they need help. "Eventually it'll effect those around you, it might effect your employment, it might effect your friendships, your relationships, you know, why let that go unchecked?" she said. Because at the end of the day, they've got a mission to accomplish for all of us and they need to be at their best. The National Guard also requires yearly medical readiness events where soldiers are screened, regardless if they're on duty or on leave.